These 65-66 Coupe and Fastback Mustang Kick Panels are the real deal. The others that we handle are very nice, but these new kick panels are the real deal and are just like the originals! There really is a difference. 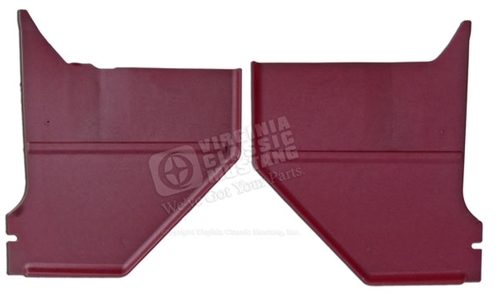 If you are building a really nice Mustang, these Kick Panels are worth the slight difference in price. They feature the exact contours, texture, grain and thickness as the originals. 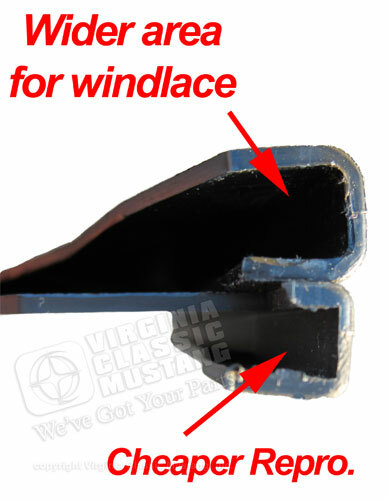 Screw holes are in the correct factory locations and are even reinforced on the back side like the originals. Note: The two factory hole locations are correct for late 65-66 . Earlier Mustangs had one additional hole. 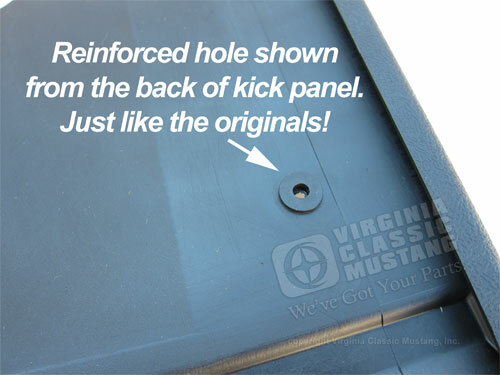 These kick panels are a must for the correct restoration. Manufactured by Scott Drake Mustang Parts. Correct 66 Red (Maroon) color.